There are also exciting group productions at this year`s poetry festival. Look out for an offering by The Mothertongue Youth Theatre Company, a fulltime performance company that employs local performers from the Langeberg region. They will be doing a performance offering that combines poetry, physical theatre and sound. The title of the show is “Memories of Water” and it comprises of self-written poems in English, Afrikaans and isiXhosa. Another group highlight “Finding Water: This is how it is” will be presented by The Life Righting Collective, an NPO that supports creative growth in people who have been starved of opportunity. This is like finding water when you are extremely thirsty. Their first anthology collection of true South African stories called “This Is How It Is”, contains poems as well as prose and will be presented over the weekend by ten poets. For more information about this organisation, click here. An exciting initiative at this year`s festival is the Helenvale Poets “back a buddy” project. The aim is to raise enough through donations to bring 20 emerging poets from Helenvale, Port Elizabeth to McGregor Poetry Festival. Most PE residents link Helenvale with images of crime, violence and poverty, but the Helenvale Poetry Project wishes to offer writers a way of finding themselves and their aspiration through poetry. For more information or to make a donation, click here. 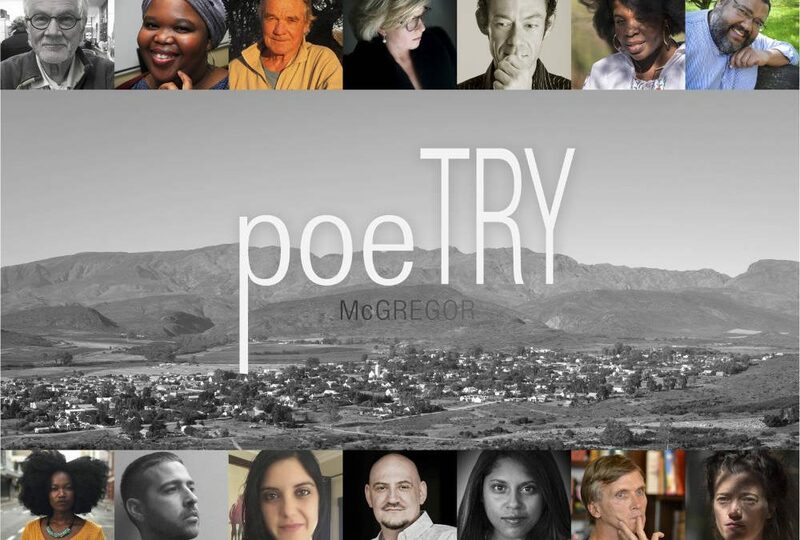 To see a full list of participating poets and their presentations visit http://poetryinmcgregor.co.za/ and tickets are available from Computicket.